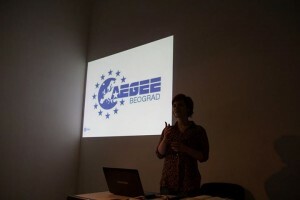 AEGEE-Beograd was established 18 years ago during a year of crisis. But that did not demotivate them and they managed to become one of the biggest locals in their area. Recently the members did a great job by helping during the floods in Serbia. That’s why AEGEE-Beograd deserves the title of Local of the Month of June! Here is what Jelena Stankovic, the current President, said to us. The AEGEEan: Tell us the history of the antenna: how old is it, do you have many active members, how did it all started? Jelena: AEGEE-Beograd officially became a member in 1996, in Budapest, during a period that was really hard for our country and the region. For example when our members got back from Budapest they needed to register the organization, but nobody had an ID except Vuk Tošić and our local was registered for 3 years on his home address. The funny thing is that he was there by accident and has never become a member of AEGEE-Beograd. Since then, we organized more than 150 projects and we are one of the most active student organizations in Belgrade. After those years of crisis, AEGEE-Beograd started attracting more and more people and became one of the biggest locals in the region. At this moment we have around 20 active and more than 50 members on our list. This year the number of active members has grown, especially during the organization of the New Year’s event. 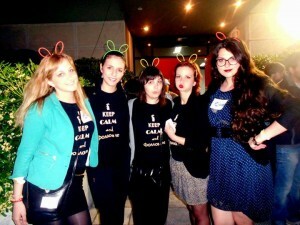 The AEGEEan: What is special about AEGEE-Beograd? Jelena: Like in every local I think it is our members that make us so special, these amazing people who are growing together with AEGEE-Beograd. We survived some difficult times, and “built bridges” even where it seemed impossible. The AEGEEan: What do you think is the greatest achievement of your local? Jelena: As I said, our antenna was established during the years of crisis in the Balkan region, and in those years it was very hard to be a young student in Serbia or any other neighboring country. But during this time we made connections, friendships and relations that are stronger by each year that passes. Our biggest achievement is that we made an example of what AEGEE really is: a group of young people who are working together and trying to make a better future for all. The AEGEEan: You were really active during the period of floods. How is the situation in Serbia right now? Jelena: First of all, we want to say thank you to all of our friends from the whole of Europe, who were supporting and helping us. One month has past and now the real work needs to be done. A lot of people died, cities were destroyed, and the response of the government is bad as always. The damage is really big and for some it is going to take years to recover. We hope these people will not be forgotten, and AEGEE-Beograd is still working and trying to help. The AEGEEan: Other Serbian locals also helped during the floods period. Do you have any special collaboration between the antennae in Serbia? Jelena: Not just from Serbia, antennae from the whole region helped to create awareness about the floods, and organized some kind of help. It wasn’t just in AEGEE, during those days the borders were also flooded and countries worked together as one. The AEGEEan: What are your plans for the future? Are you going to have any activities after summer? Jelena: Actually we have some big plans for the next year, but for now we are keeping it just for us. Traditional NYE is one of the certainties. Also we are looking for twin antenna. On the local level we are going to try to help our members improve themselves through trainings, and establish cooperation with other student organizations in Belgrade. The AEGEEan: Your Summer University with AEGEE-Zadar and AEGEE-Zagreb is next. How is the preparation going? Are you ready? Jelena: After the floods we got a little bit scared, and we were thinking what is going to happen, but we are back on track and awesome as always. It is always a pleasure to work with our friends from Zadar and Zagreb, and we hope our participants will recognize our good and hard work. You can never be ready enough for TSU, but I think we are set for another great adventure. Last Balkan Funk set the bar really high but I think this team is ready to rock it once again. The AEGEEan: Is there anything you’d like to add? Jelena: AEGEE-Beograd is very proud of its members who were working hard during all these years and thankful to all our friends who we hosted here or met in Europe. 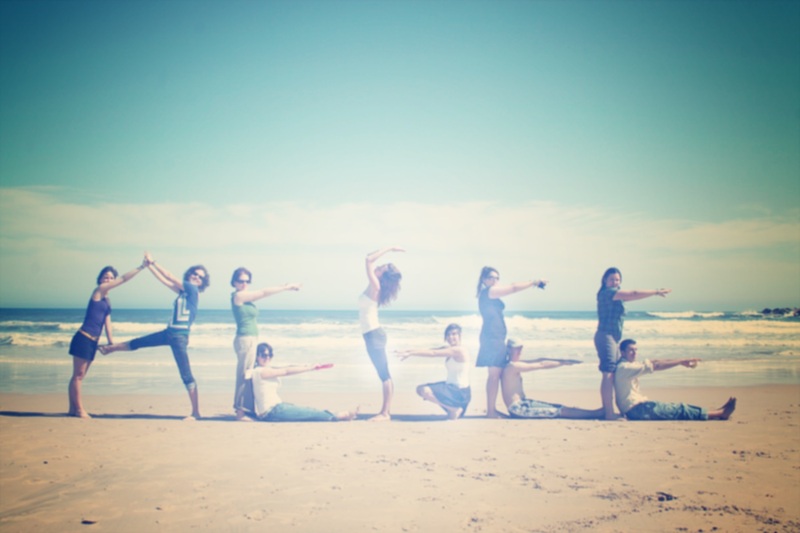 Being an AEGEEean it is an extraordinary experience and AEGEE-Beograd is very happy to be a part of this big family. See you in Beograd!